your electric vehicles and charge stations. ViriCiti is the independent partner for data-insights in your entire operation. By connecting your electric, CNG, diesel, hybrid and hydrogen vehicles together with your charging infrastructure, you have one complete integrated overview. 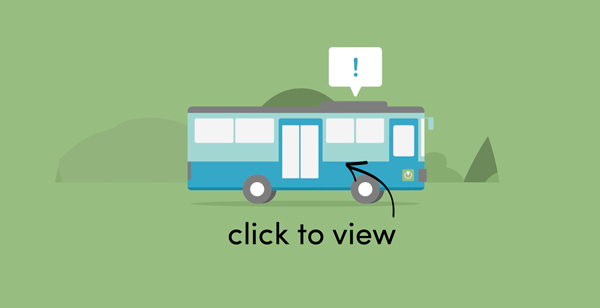 ViriCiti gives you full insights in energy management, maintenance, route operations and flexible charging for your mixed fleet. ViriCiti connects with any type of vehicle and charge station. Real-time data is sent to our secured servers where it is analyzed and simultaneously stored for reporting purposes. Based on this data that is presented in intuitive dashboards and accessible 24/7, your operation can be continuously improved. What are the advantages for your transport operation? ViriCiti displays your charging infrastructure and fleets, mixed or full electric, in one platform. Automatic alerts are set to prevent operational errors. 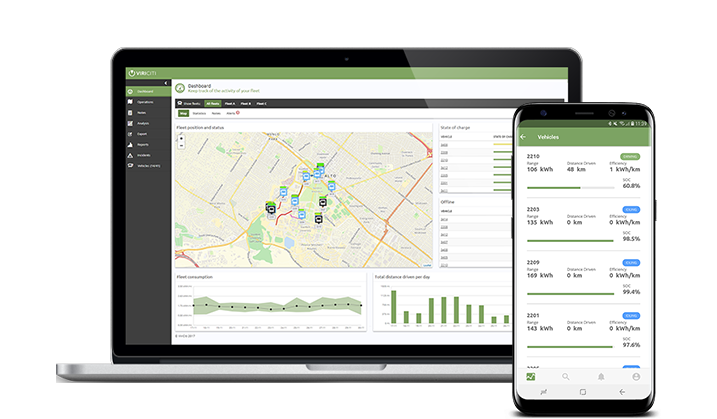 By connecting all your assets, data-insight can be used strategically in energy management, route operations and flexible charging.